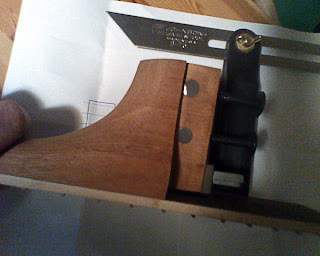 I put some pencil lead on the end of the bolts and stuck them through the heel block – to put some marks on the neck tenon. Squared everything up and started drilling. 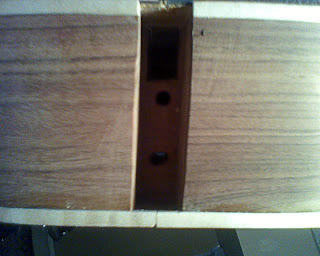 All the holes drilled and the bolts used to attache the neck. 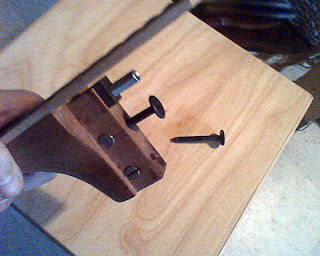 Decided to go with these type of bolts/nuts. 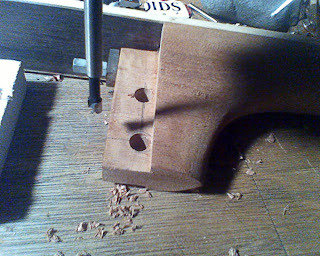 Think they are stronger than pins and I don't like the idea of putting inserts in the end-grain. 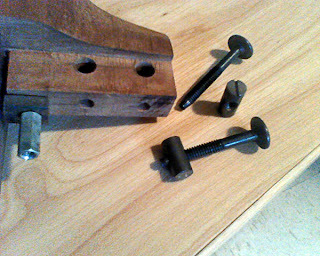 Testing the bolts, they seem to fit really well but the nuts are a little proud of the tenon – just slightly too long. 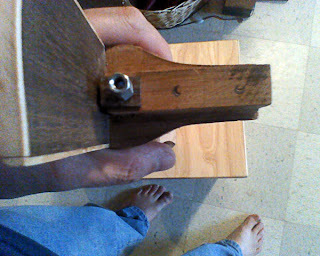 This is the mortise in the healblock that the tenon will insert into. You can see the bolt holes and the truss rod hole if you look close. Bolted up. 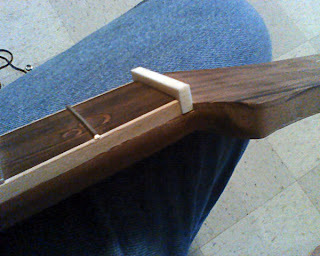 I haven't yet made sure that the neck is straight to the body. This will take some patience and I don't have any extra today. I will straighten it up another day. Making the Nut. 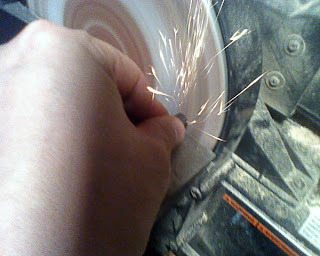 Marking and cutting the blank down to size. I then sanded it to a thinner thickness so it would fit inside the slot. 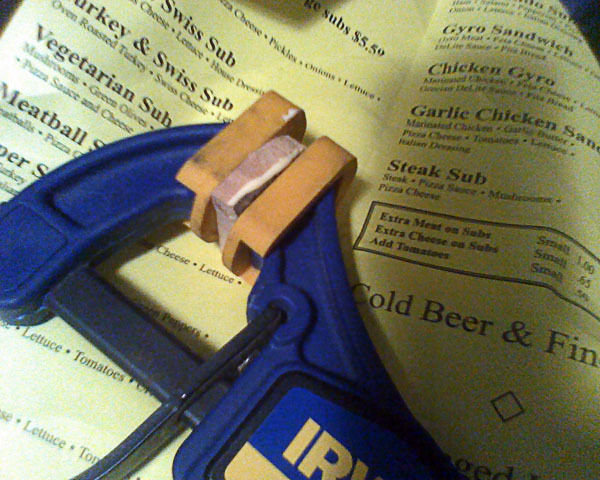 As I was doing that I realized that the nut slot wasn't perfectly straight. Out comes the file. 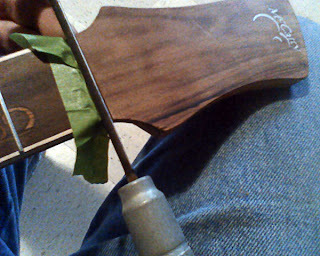 Now to mark the height of where the strings need to sit. 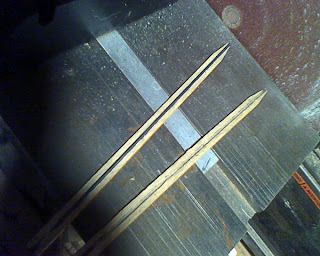 Took a pencil and chiseled it in half. 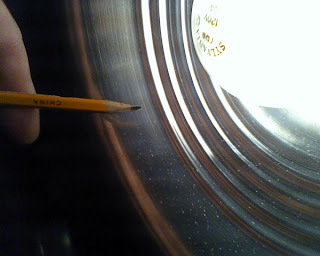 Sharpened it to a very fine point as low as I could get the pencil lead down. 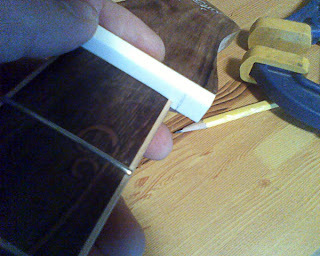 Ran the pencil lead across the frets to mark where the fret height is. The strings will need to be slightly higher than that. 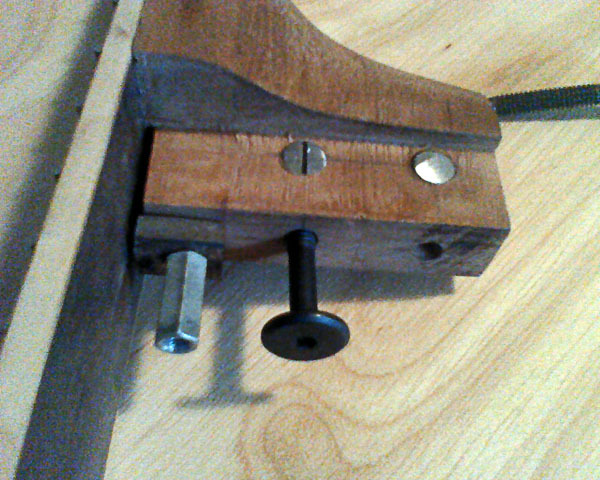 Rounded off the back of the nut. 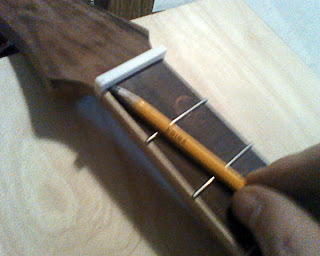 Transfer that angle to the neck and sanded the angle to match. 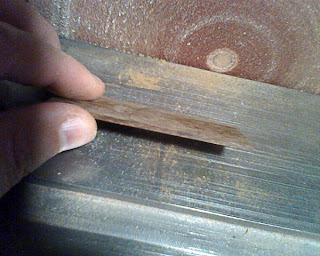 Thinning a piece of spice wood as an accent. 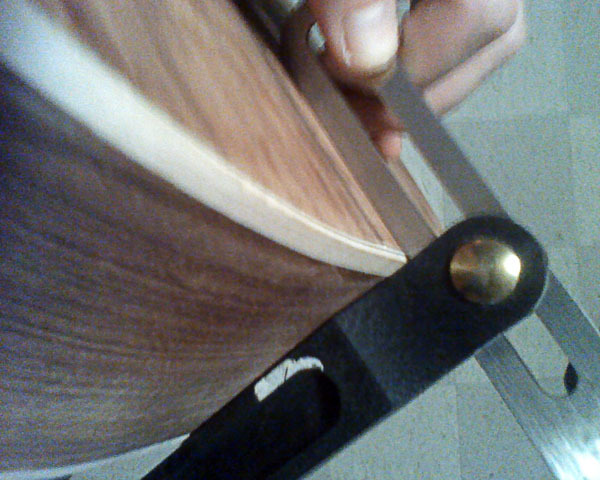 Cut the spice wood down to the heel shape and glued to a matching birds-eye maple piece. 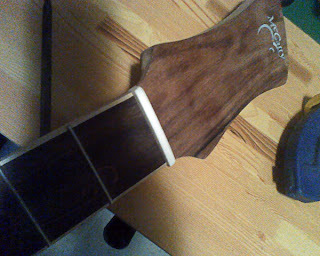 I can not wait to play this guitar! Happy 2011! May 2012 be the year you finish the project! 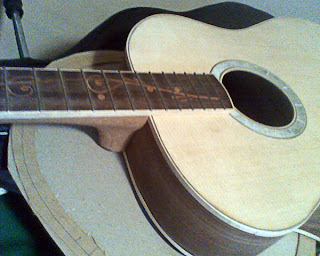 So, did you ever finish this guitar?